A Resurgent Crispin Odey: "We Are At The Start Of A Profound, 25 Year Bear Market"
Two years after British billionaire Crispin Odey decided it was time to not only "fight the Fed" but launched a brutal and bloody crusade against central banks around the world, in which he bet virtually everything on a "violent unwind" of the QE bubble, loading up on gold and shorting every government bond he could find, something strange is happening: Odey appears to be winning. 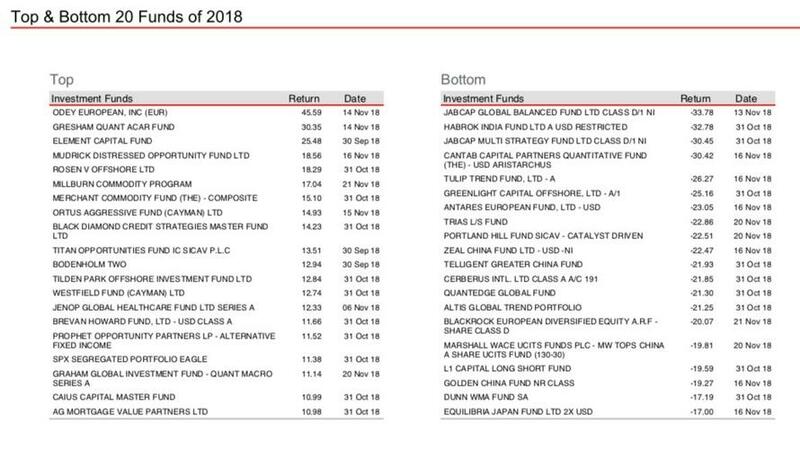 In some ways, it has been a pyrrhic victory: managing billions in assets several years ago, Odey Asset Management has shrunk substantially in the past 2 years, and as of October 2018 AUM had dropped to $828 million, while the OEI MAC fund is down to just $250 million. 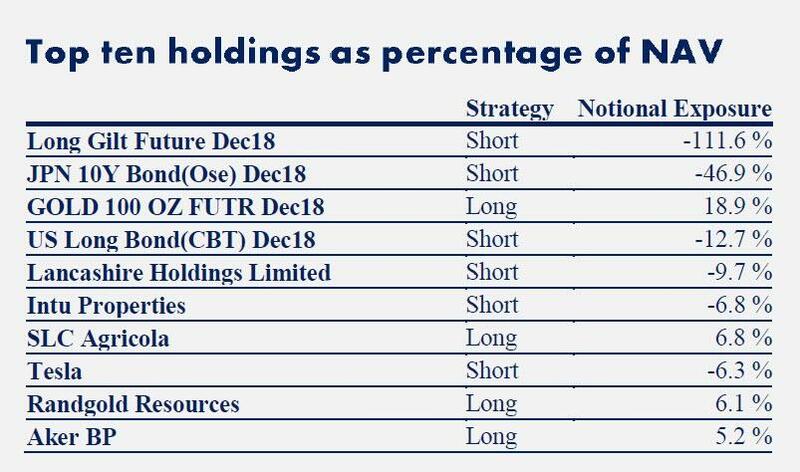 More importantly, Odey was not wiped out and is still managing money after an abysmal stretch in which the hedge funds lost 21.3% in 2015, 49% in 2016 and 22.3% in 2017. Fast forward to 2018, when Odey is enjoying his best performance in a decade, up 49.8% YTD, his second best year on record after the 67.7% return in 2007. ... is currently at the top of the HSBC hedge fund tracker. So with fortune finally smiling on him, has Odey's dire outlook changed and does he think the world will end in anything less than fire and brimstone. Of course not. Below is his brief take on recent events, and his rather pessimistic forecast, from his latest letter to clients. There is not much to write. Of course bear markets don’t look like bear markets early on. There is still lots of hope and the collective intelligence is believing in ever higher prices. Why shouldn’t they? Markets go up more days than down in a bear market. There is lots to keep you invested. Christmas, share buybacks, a rapprochement with China now that the midterm elections are out of the way. Markets have come back a long way. Oil is down over 30% in dollars. But my money remains on the likelihood that this is the early stages of a profound bear market in assets. Populism in the west has a long way to go. QE has undermined savings and now populism will undermine the price mechanism. We are at the start of a 25 year cycle so get used to it. 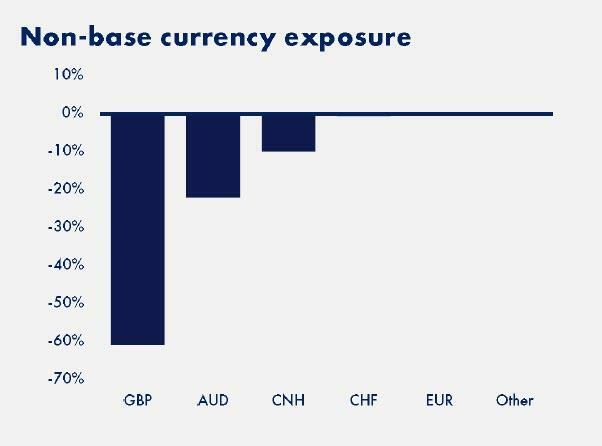 Like we said: no rose-colored glasses here, just more of the "violent unwind" of the QE bubble that Odey has been expecting for the past 3 years. It is becoming difficult to find places to hide in this market. 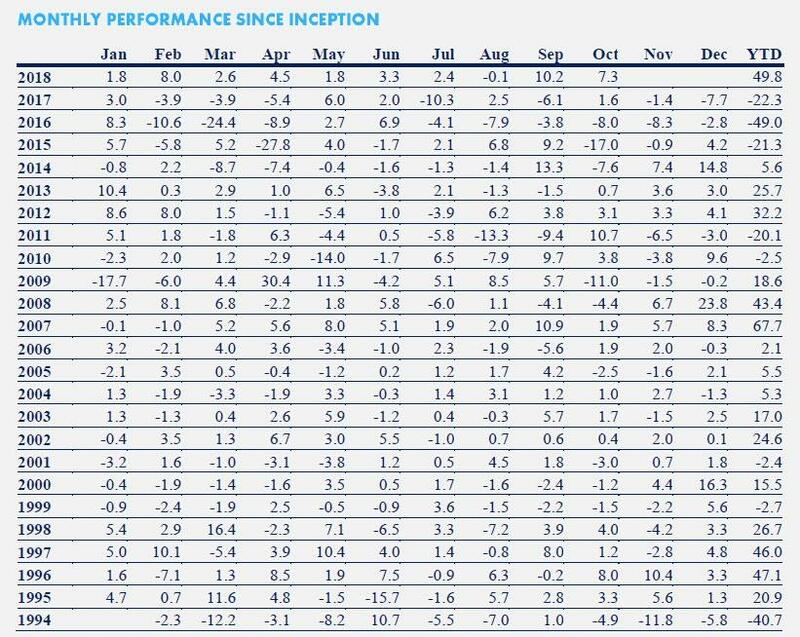 Argentina looks increasingly attractive. Their populism began in 1929 and thanks to the IMF may be coming to an end. On such gossamer threads is our optimism built. 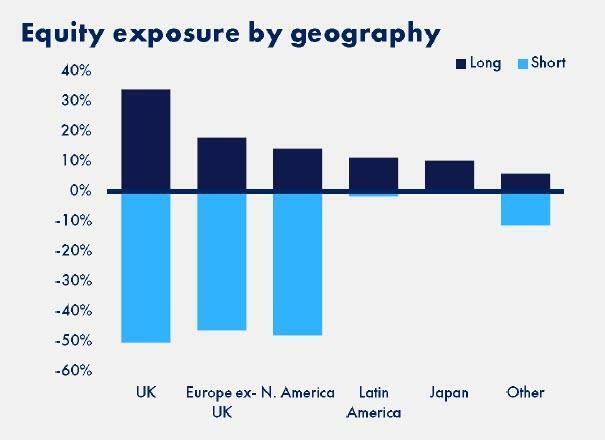 ... and the breakdown of his equity exposure by region.